Thank you for another wonderful Note Card Party! It surprised me because July is a traditionally slow month in Blogdom. Mr. Linky will close at 10 a.m. just in case there are any last minute linkers. See you in August! And this is the joy of loading up images in the month between parties as the rootbeer was featured just last Saturday. I needed a fourth photo of a cold drink and this filled the bill. I do think my picture taking skills are improving a squeak. Before anyone worries about citing where you found your photos...not necessary unless you wish to. If you have any questions, you will find the directions in the Note Card Button provided in my sidebar and you are always welcome to email me...addy in profile. The cold drinks look so good tonight! I have a big glass of water in front of me...but at least it's in my pretty tulip glass! I love this party! Thanks, Vee! Happy notes! Oooh...they look so good! These look so refreshing on this hot, hot day. I love your choices this month since they're just what I need to feel a little "chilled out". My favorite is definitely the one with the tipped ice cream. That's cool looking. Thanks once again for thinking of and hosting this party. I think it's really fun to look back at old posts to find something. Now I'm thristy! These all look very refreshing, Vee. Happy Notecard party to you! look so refreshing, thank you for hosting Note Card Party. I think your photography skills are quite good. I definitely like the second and last photos the very best. It all looks lovely and refreshing! I'm hot and parched after mowing the lawn in 95 degrees, so your photo cards are calling me! Perfect for summer note writing! And I would say your last photo is especially spectacular! Thanks for hosting your monthly card party, Vee! All those beverages look delicious for these hot summer days. Great photo cards Vee. Thanks again for hosting! This is the first time I have joined your party, and it looks like fun. I'll second that root beer float, my favorite! I could use a root beer float right about now! Your pictures have refreshed me! Can't play this time, but hope to next time. Oh, fun! 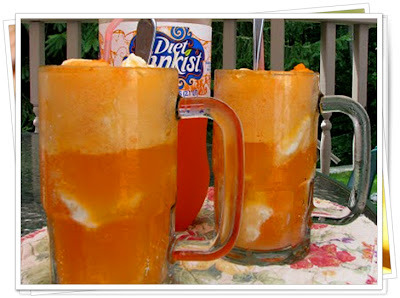 I'm feeling all retro with these yummy looking ice cream sodas! Thanks for hosting this fun party - so many great photogs! AS a first time poster., this has been great fun!! Thanks for hosting this! Such fun! Those drinks look cool and refreshing! Vee, You've made me hungry! The second photo is amazing. Optical illusion: it looks like a liquid is being poured from the coffee pot on the ice cream carton (it's the straw). Took me a moment to figure it out! I've participated in Suzy's party in the past. It's so much fun, and I love trying out homemade ice cream recipes! Thanks for sponsoring this fun party. Those nice cool drinks look so refreshing on this hot evening. Makes me thirsty so off I go to get a nice cold drink. Oh man - think I'm gonna have to go make me an ice-cream float now... that orange drink looks good to me, Vee. Ever had an Orange Julius? Anyway, I'm thinking cool right now, it's SO hot and a buncha folks are having such heat waves this summer that are not really used to it. So far, it's not been like last summer here and I feel very blessed! Have a fun party - thanks for hosting! Your drinks all look delicious! 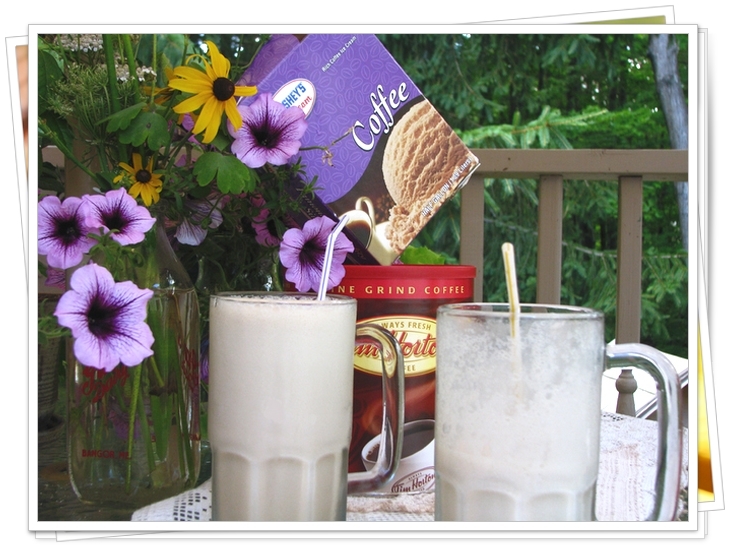 Wouldn't it be fun if we could all show up and sit around your back patio sipping (or slurping) floats together? Any one of those drinks looks good and refreshing to me. You had me laughing with your commentary tonight. Perfect subject for your note cards in this sweltering heat. It's been so long since i've had a milkshake that I'd have to pick that card as my favourite. I like the balancing act. Thanks for hosting this party Vee - and for the reminder. Vee your drinks sure look great. Perfect for these hot days. Even though our weather hasn't been as hot as the east coast, your drinks look like they'd hit the spot. And thanks for the party invite! What a perfect collection of images for these warm summer days! There's just nothing like a cold drink to refresh the body. I would say your photography is great! And always improving. Thanks for hosting this again, Vee. It's a lot of fun! Wonderful, Vee! I'll try to get some "notes" together! I love all the wonderful looking drinks in your notecards, Vee. They look just the thing for this hot weather. I think I have consumed gallons of iced tea so far this summer. Thanks for hosting this fun party! The drinks look very refreshing. I have been making smoothies lately when the weather is hot. Today was a nice cool day. But I am afraid it won't stay that way. Oh I wish I had a pretty & relaxing deck! I would absolutely spend every afternoon outside, just chilling! Lovin your new fresh look! And those cold drink make me want one or one of those dunkin donut coffee drinks that they've been advertising. 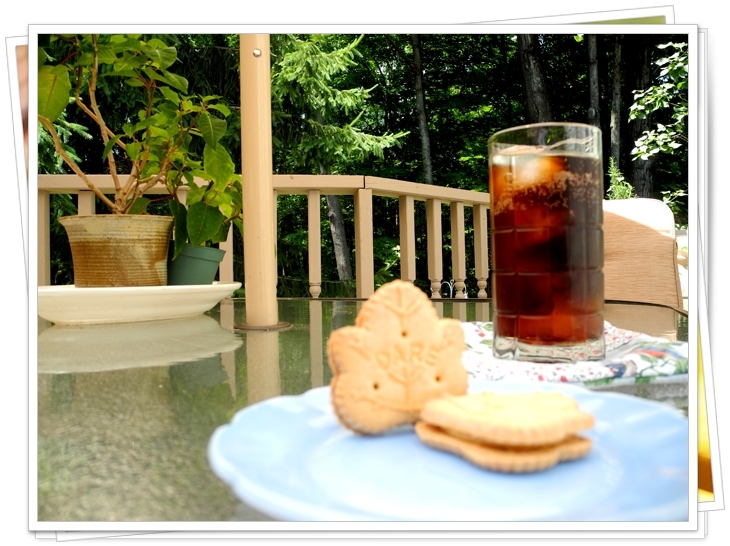 I have a serious love for root beer, that pic is my favorite, darling little leaf cookies, never seen those before. Hope you are enjoying the refreshments of summertime! Have a really great day Vee. Thanks for hosting this great party again this month! I love the patio setting....all ready to curl up with a great book! Why is it that I'm yearning for an orange float before breakfast? I'll have to check out that ice-cream social! You have a most refreshing not card theme here. I think there are a few like that this month. 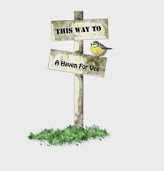 I'm off to check them out! BTW...I'm always amazed that you remember my grandkids names. I have a few, you know! Another delicious summer choice, for note card pics. And good grief Woman, what's the matter with any of your photos?!? We all need to get off the kick of knocking our photos. Me included. Off, off, off... That kick! ,-) Agree??????? is waiting to be known." 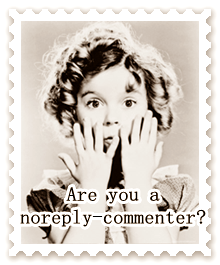 I'm not sure if we have met yet, but we have several fellow bloggers in common. I crashed your party because of 'Coloring Outside the Lines' - she told me. Thank you for letting me be involved. I just love your notecard party! And only yesterday I stopped by the old drug store in Dandridge, Tennessee, the state's second oldest town, and had a chocolate soda. YUM! Still not working for me, Renae. I'll try to see if it is working for anyone else. First time here, I came by way of Ellen B. I love looking at all the photos! What a neat idea for a blog party! 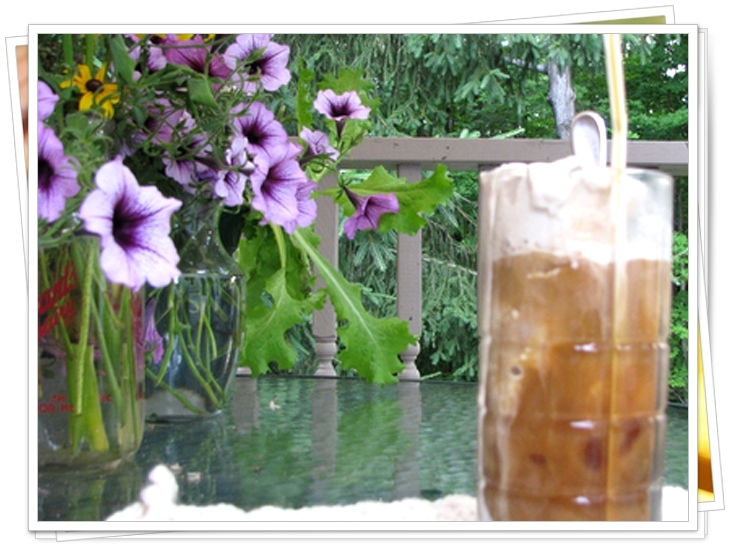 I love your cool looking drinks, perfect for this hot weather! OOOPS! I almost missed this one! I feel cooler already just reading your post. And I think I remember all the posts your pictures came from. Yay! Your pictures are always lovely. How refreshing! Your drinks all look quite lovely and desirable on this hot summer day. I keep forgetting about the note card party .... & it always looks like you have wonderful "cards" added. And to Top it All Off...Fleas!